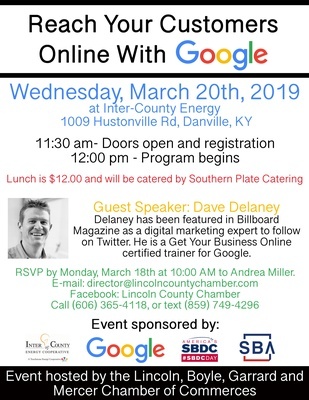 Join us on March 20 for a very special Regional business event, sponsored by the Lincoln, Boyle, Garrard and Mercer Chambers of Commerce and learn how to "Reach Your Customers Online With Google". 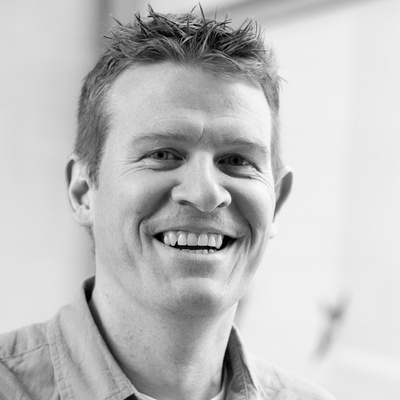 Dave Delaney is a speaker for the Grow With Google program and is best recognized for his work in the digital marketing, social media strategy, and business networking spaces. He has appeared in technology related stories in USA Today, Forbes, Entrepreneur, BBC, CBC, Mashable, VentureBeat, The Tennessean, Nashville Business Journal, and The Toronto Globe and Mail. Dave is also the author of the acclaimed book, New Business Networking. Cost is $12 to attend (payable at the door) and includes lunch catered by Southern Plate Catering.